Product information "Map Table Lamp"
It's funny where life (and so-called plans) take us. I had it all mapped out and yet it turned out so very different. Different country, different language, different people. 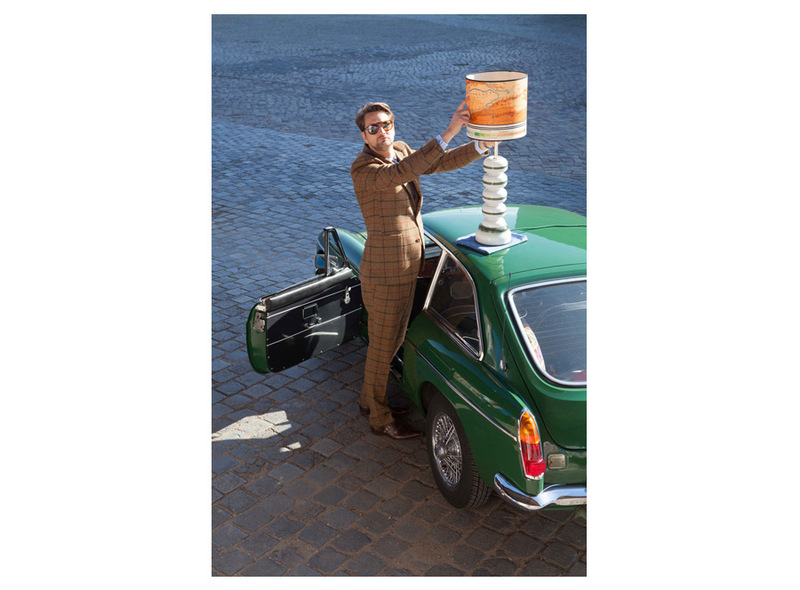 It's good to have plans but make room for bends in the road. Some of which are the most unexpected and wonderful 'distractions' you can ever have. 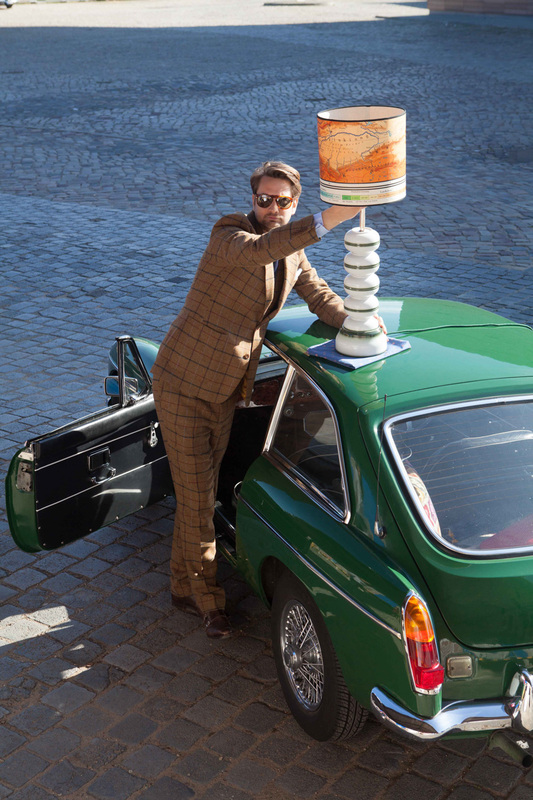 And to remind you of that fact, is this very 'Indiana Jones' lamp from Via Stella. 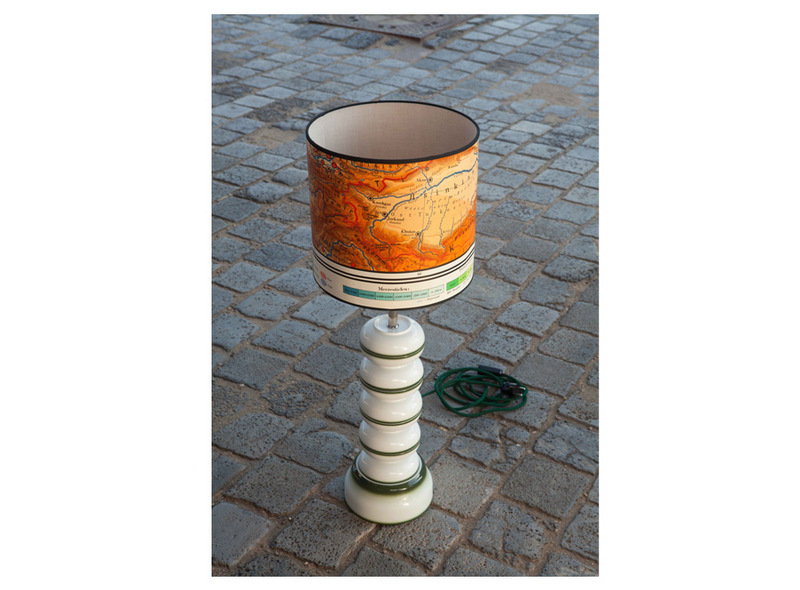 Set on a stand made from back to back white and green ceramic bowls and topped off with an extravagant orange map shade. My 'Holmes' at the shoot was really quite taken with it. I hope you are too. 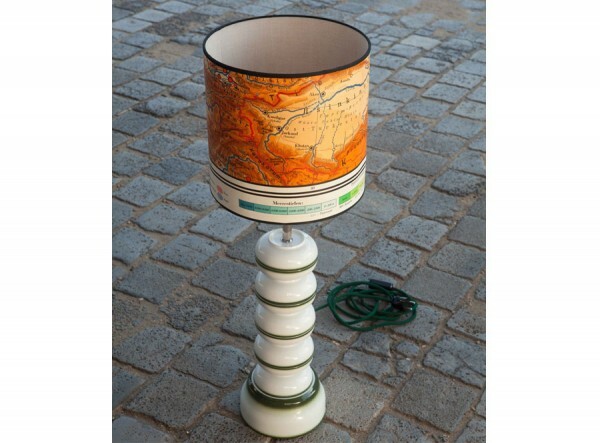 Related links to "Map Table Lamp"
Customer evaluation for "Map Table Lamp"